Can you believe this weather, you guys? It’s finally here. And my guess is you want to be out enjoying it as much as possible…I know that is the case for me. On top wanting to spend time outdoors things are a little nuts for all of us this time of year with weddings, graduation parties, end-of-school parties and BBQs. Combine them all and it doesn’t leave much time to prepare meals, at least in my house. Yesterday on KARE11 I shared one of my favorite “strategies” for meal planning during crazy times like this. Throw a 5-minute prep pork shoulder in the slow cooker on Sundays and use it throughout the week for really fast, delicious meals. If you are interested in seeing the Slow Cooker Pulled Pork recipe along with 3 other recipes for ways I like to use it, click here. There are so many different things to do with it…a BBQ pulled pork sandwich is only the beginning. 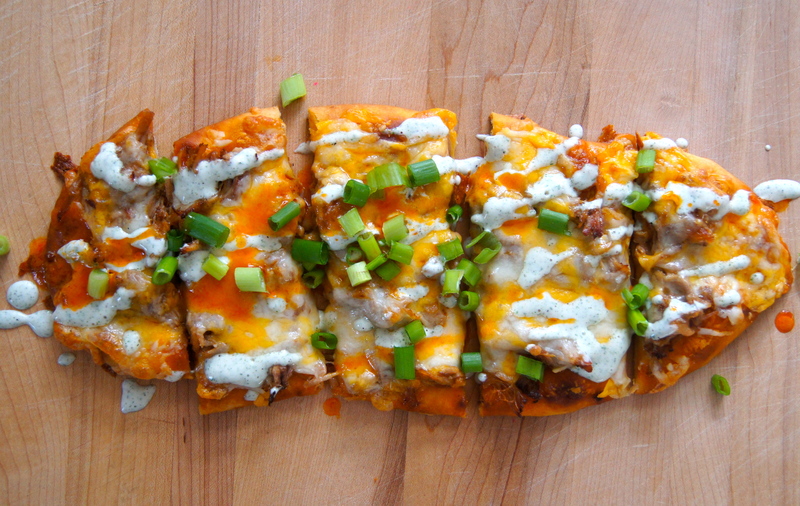 See that pizza up there…its sitting preeeeetttttyyyy comfortably on my favorite pulled pork recipe list. You know me and anything tagged Buffalo. Drool-worthy. I’ve been using pulled pork a lot lately in pastas, panini’s and cobb salads, too. Would love to hear some new ways to utilize it to mix things up….so please, tell me your favorites so I can share them with everyone following along…don’t leave us in the dark! I want this here and now. Thanks for the idea! Thank you for the note, Kim…looking forward to following along with your blog!